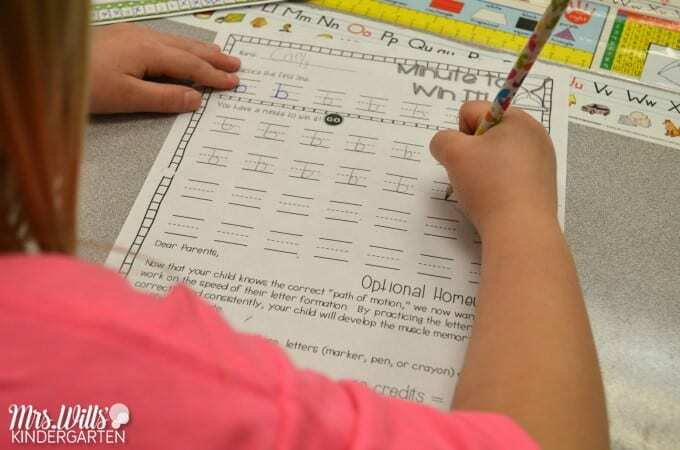 Proven strategies that help in the early grades. A passion for sharing the gift of literacy with young children is the reason many professionals enter early childhood or elementary education. No matter what ages you teach, you know a strong background in early literacy helps children succeed. Now-iconic research backs this up. Studies highlight the integral relationship between reading proficiently before third grade and high school graduation, college and career success, and avoidance of poverty. What exactly should teachers and schools do to support their youngest learners in developing an early literacy foundation? We’ve compiled this mega-list of tips and resources from recent research, experts in the field, and fantastic teachers so that you can get straight to incorporating them into your schools and classrooms to benefit your students. 1. Invite student talk with engaging questions. Oral language is a key component of early literacy. Consider starting the year with daily “Would you rather…” questions. They are great for modeling how to support answers with reasoning. Later you can move onto other open-ended questions to keep the conversation flowing. Provide sentence frames for ELL students to help formulate answers. 2. Up your participation opportunities. 3. Make time for storytelling. Humans have been sharing stories for centuries. Tell oral stories—true, made up, or retold—to engage students in a different way than reading aloud. Coaching children to tell their own stories supports language development, reading comprehension, and narrative writing. Practicing the vocabulary and literary language structures of storytelling is particularly helpful for ELL students. This “Mini Crash-Course on Oral Storytelling” from Two Writing Teachers has tons of tips for getting started. 4. Focus on building knowledge along with skills. Literacy expert Catherine Snow emphasizes building children’s background knowledge in addition to focusing on finite skills like letter recognition and phonological awareness. “Your skills as a reader are a product of all of the accumulated knowledge of your lifetime,” Snow urges. So, don’t miss that opportunity to welcome a guest speaker, talk about a cool insect found on the playground, or drop everything to observe a weather event. Children will draw on these experiences later to understand what they read. 5. Plan interactive read alouds. Help students get the most out of your read alouds by planning comments and questions ahead of time. 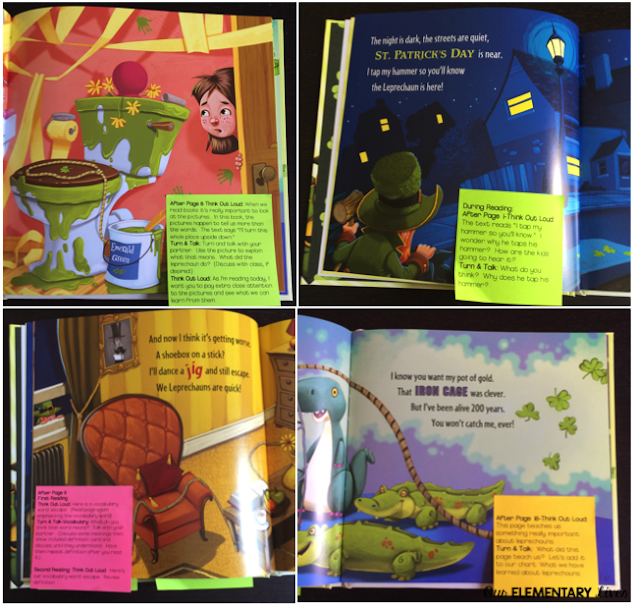 These color-coded, pre-printed sticky notes from Our Elementary Lives give us serious teacher envy! Of course, you have a million books you want to share with students, but slowing down to read some of them a second (or third, or fourth) time is worth it. Repeated read alouds have so many benefits, like supporting vocabulary growth, guiding children towards deeper comprehension, and scaffolding content for diverse learners. 7. Honor pre-readers’ interactions with books. Coaching kids to interact with books before they can read conventionally is an early childhood classroom game changer. 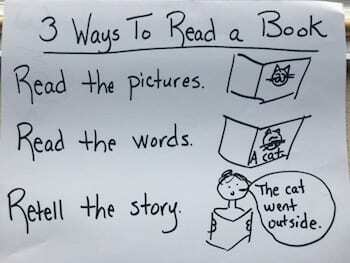 One place to start: Teach students “The Three Ways to Read a Book” from the popular Daily 5 model. 8. Invite students into the club right from the start. Calling students “readers” and “writers” from Day 1 makes a big impression. Make it a point to specifically compliment the emergent reading and writing behaviors you observe. This will encourage students to make them habits. 9. 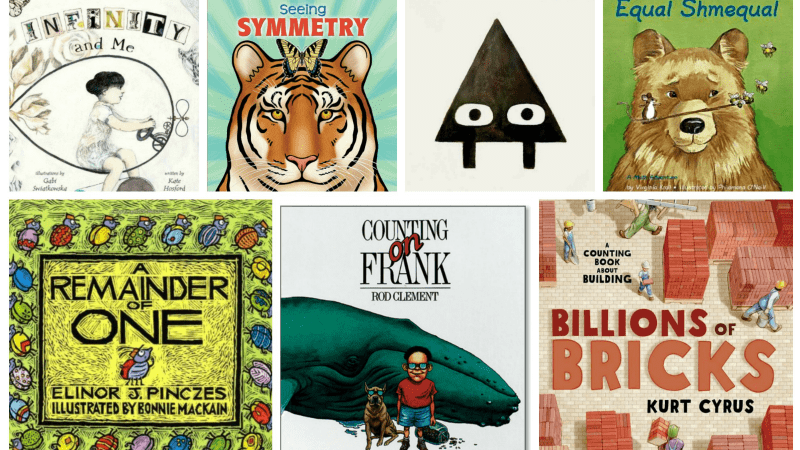 Set your classroom library up for success. It’s no secret that the classroom library is a key feature of a literacy-focused classroom; this is true even when your students can’t read yet. 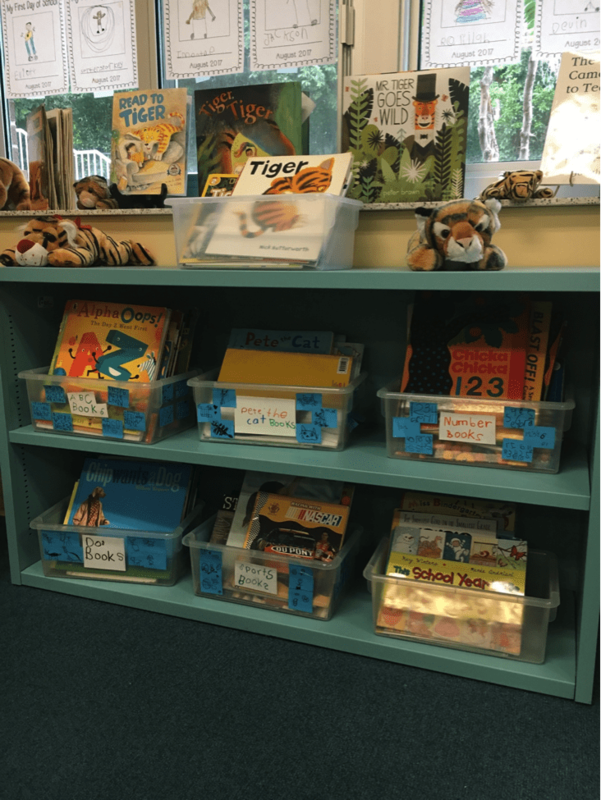 Encourage kids to take ownership of the space (and the books in it) with the ideas in this blog post from the Center for the Collaborative Classroom. Don’t forget to add a super-cute reading nook for enjoying all those titles. 10. Use a variety of instructional texts. When young students are ready to attend to print in their own books, different types of texts encourage different types of skill-building. Patterned books, rhyming books, stories and nonfiction all have merit. Do you (or does your reading program) love the teaching power of decodable texts? Expert Tim Shanahan says use them if you find them useful, but don’t put all your eggs in the same /b/ /a/ /s/ /k/ /e/ /t/. 11. Prioritize the vocabulary words you teach. Research suggests that pausing to offer a quick, kid-friendly definition of a word in context is one of the best ways to teach children new words. Intentionally choosing a few words to focus on at a time is key, so plan ahead to hone in on the most useful words for your students. 12. Review vocabulary words in playful and memorable ways. Young students love to learn new words, but they do need engaging review to make them stick. Strategies should be tailored to their pre-reading status. Act out words, draw them, or play brainstorming games to generate examples and non-examples. Build excitement around using words by keeping a tally chart or making a special sound (Ding!) when someone uses a target word spontaneously. 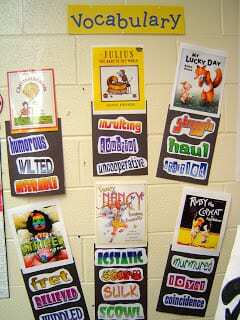 Encourage students to create touchstone memories by pairing words with the books that introduced them. 14. Incorporate literacy across the curriculum. Help literacy learning happen all day. Share read alouds that weave literacy learning into math, science, and social studies. Tasks like writing a sentence about a story problem or generating vocabulary words to describe an object in science help keep reading, writing, and speaking goals in mind across all lessons. 15. Get down to the sound level. Early childhood teachers love rhyming and alliteration activities, and why not? They’re tons of fun! Don’t let your phonological awareness instruction stop there, though. Research hails a focus on segmenting, blending and manipulating individual sounds as better tickets to reading success. Keep yourself “on task” with these handy “Phonemic Awareness Teacher Task Cards” from A Teachable Teacher. 16. Be strategic when teaching the alphabet. Kids have to learn the letters and sounds of the alphabet. Best case scenario: they learn them quickly so they can use them in reading and writing. Researchers recommend ditching a traditional “Letter of the Week” approach. Instead, introduce a new letter each day in a strategic sequence with lots of review. This Reading Mama’s “Teaching the Alphabet” series has tons of research-inspired tips and ideas. 17. “Capitalize” on students’ names. We have no trouble believing in what researchers have dubbed the “own-name effect”—the idea that children have a leg up when learning the letters in their own names, especially the first one. (Experience tells us that this works for names of classmates, too.) 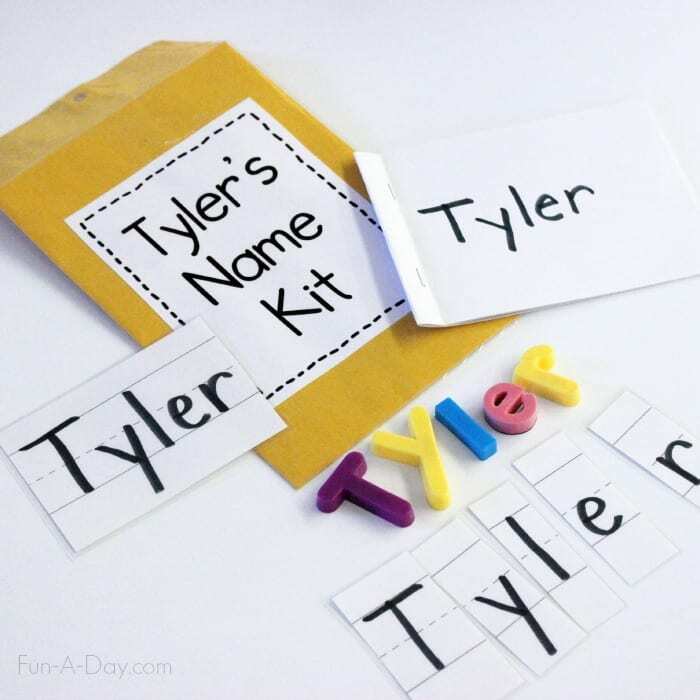 Display students’ names around the classroom wherever possible and refer to them often. Creating multi-use name materials like these name kits is worth the time, too. 18. Provide explicit and systematic phonics instruction. The research just keeps stacking up that indicates it’s a key piece of successful reading instruction for kids. Keep phonics engaging with hands-on activities. 19. Make time for handwriting! 20. Engage students in the entire writing process. Show students the end goal of writing—to share their thoughts with others—and give them a map for getting there. Whether you use a published writing curriculum or plan your own lessons, your work should include guiding students through generating ideas, planning, writing, revising and publishing writing in different genres. Check out this post from Teach to Inspire for lesson ideas across the writing process. Students attempts at spelling words are amazing (and sometimes hilarious) windows into their letter-sound knowledge. 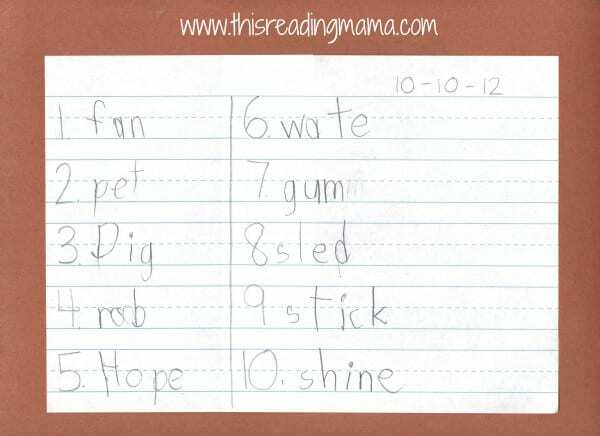 Invented spelling gives kids essential practice in breaking words down into sounds and rebuilding them on paper. Plus, it helps kids share their ideas in writing without being dependent on an adult to write. 22. Build good habits from the start. Balance encouraging students to take risks with nipping poor habits in the bud. If you teach Nico to start “N” at the top every time he writes his name, or teach a student who loves writing dialogue that it’s “said,” not “sed,” you won’t need to steal time from other learning to correct ingrained mistakes later. Insist that kids read for meaning and attend carefully to print from the start. This avoids having to address rushed or error-prone reading as students progress. If you use literacy-related apps and games with students, make sure you pair them with rich conversation about the concepts they address. This is crucial to make sure virtual tasks serve the intended purpose. Or, use technology to teach students to document their hands-on learning with an app like Seesaw. 24. Deliver mini-lessons for mini people. Present direct literacy instruction in small bites. Learn about the structure of a mini-lesson, practice it, and use it again and again across all areas of literacy. 25. Use multisensory teaching strategies. Multisensory teaching gives kids lots of opportunities to take in information and make connections. It’s a perfect match for early learners who, by design, thrive when they can see, touch, and manipulate learning materials. 26. Protect opportunities for literacy learning through play. The disappointing departure of blocks and play kitchens from many early childhood classrooms means missed opportunities for literacy learning in meaningful contexts. Tasks like making a menu for a class restaurant, creating medical charts for stuffed animal vet patients, or labeling items in a “museum” of block creations are powerful early reading and writing skill-builders. Amanda Morgan of Not Just Cute offers many ideas for promoting literacy learning through play. Just like young children need to look, talk, and touch as they learn, they also need to move! Frequently incorporating movement into lessons keeps students engaged and builds brain connections. Or better yet, extend it. Time for active play is essential for young learners and boosts learning and attention at other times of day—especially a long literacy block. 29. Support students’ social-emotional growth. 30. Use assessment to inform teaching. It’s increasingly common for teachers to be asked to collect extensive data about their young students’ literacy skills. Don’t lose sight of the primary goal, though. Experts Peter Johnston and Peter Afflerbach remind us, “Assessment is formative when it makes teaching more responsive.” Observation checklists, documenting of student conversations, and running records are helpful tools for identifying student needs. 31. Learn from a developmental spelling inventory. 32. Find a data management system that works for you. Assessment information isn’t helpful unless you can use it. Find systems that work for you for keeping track of data for yourself, and for sharing it with students in developmentally appropriate ways. Start with these ideas. 33. Make the most of small group instruction. Many schools have moved towards more focused small group instruction by adopting guided reading, but don’t stop there. Flexible small groups can be formed to teach writing strategies, phonics, and comprehension strategies, too. Plan meeting frequencies so kids who need more, get more. 34. Individualize instruction using conferences. Conferring with students is an ideal way to target individual needs. Having a clear structure and a bank of appropriate teaching points in mind for emergent readers and writers helps maximize every brief interaction. This free resource from expert Jennifer Serravallo is full of useful info. Great conferring notes are so useful for planning your next move. Distractions are constant in the lower grades, so an easy-to-use system for keeping track of your work with students is essential. This post from Two Writing Teachers covers myriad analog and digital options. We’re borrowing a pun from Nell Duke, here, because we completely agree. Learning standards tell us the “what” of early literacy teaching, but the “how” is just as crucial. It’s also subject to inconsistent interpretation. 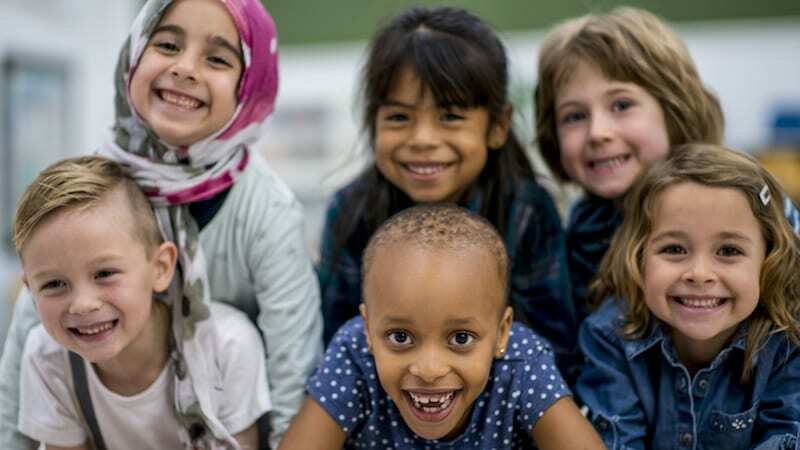 Use these guides from the Michigan’s Early Literacy Task Force as inspiration for outlining agreements about best practices in your school. Teacher collaboration is definitely no longer limited by geography. Join Facebook groups for curriculum programs you use, like this one for the Units of Study in Writing. If you’re a little late to the Twitter game, catch up with the free online course Twitter for Educators and begin building a Personal Learning Network related to early literacy. 38. Give a new teacher a hand. We’ve heard countless comments from teachers about how they felt unprepared for certain aspects of literacy instruction as newbies. Knowing what to teach when and supporting kids who struggle take practice! Give support with dedicated coaching for new teachers. 39. Make sure students get consistent messages. Learning to read and write is hard enough! Offer training for all those who support young learners in your school. Cover details like which keywords you use to cue short vowel sounds or how to correctly segment words when supporting invented spelling. 40. Make your whole school a print-rich environment. Noting print in their environment is a key component of building early literacy concepts. Being surrounded by it wherever students travel in school means more opportunities to notice it. Get a group of staff together and spend an hour after school creating kid-friendly labels and signs. Or, better yet, involve students in the process. 41. Team up with specialist teachers. Viewing early literacy as a team effort benefits kids. Music teachers can support learning songs and chants used in the classroom for shared reading. (This is especially helpful if your teacher talents don’t include singing in tune!) Art teachers can support students’ ability to draw with detail, which ties in nicely with early writing lessons. Talking about works of art with young children is also fantastic for building oral language. This post from Tinkerlab offers helpful guidance. Authentic purposes for reading, writing, and speaking help students develop literacy skills. Get school community members to help. The principal who responds to a Kindergartener’s persuasive letter, the custodian who asks for student help writing reminder signs to keep restrooms tidy, and the fifth-grade buddies who joyfully attend a first-grade readers’ theater performance all send the message that students’ work matters. 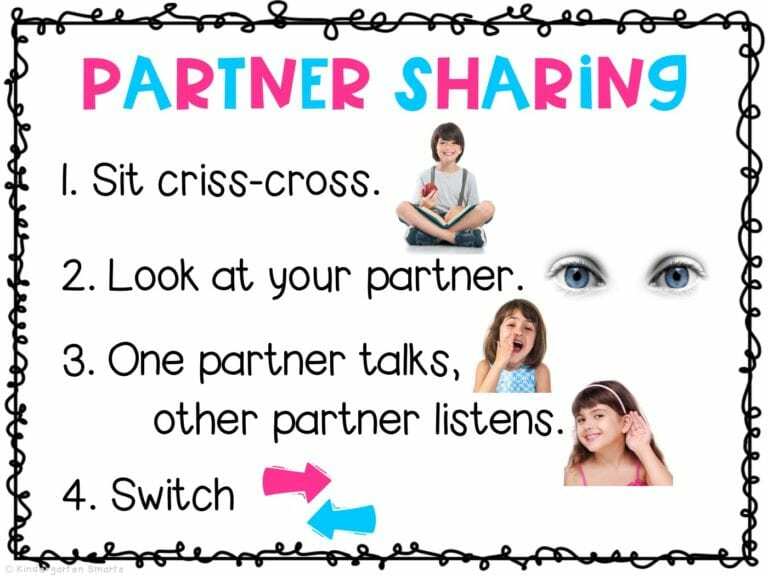 Speaking of fifth-grade buddies…multiage literacy pairings have so many benefits. Older kids can provide examples of fluent reading. They also motivate younger learners in a different way than adults. Dedicating time to literacy activities shared between grades sends the message that literacy is important across your entire school. 44. Host family literacy events. The best family literacy events build excitement about reading and writing and showcase strategies in a way that’s accessible to your school population. We love these simple suggestions from Colorin Colorado, like providing a variety of read alouds and fun activities so families can join in however they are comfortable. 45. Enhance and celebrate literacy learning with video. It’s no secret that video is an engaging communication medium. Use it to introduce literacy concepts, document learning, and share information with families. A free educator Animoto account makes it simple to create and share compilations. Even young students can learn to use digital storytelling apps like 30hands Storyteller, as shown by superstar teacher Kory Graham. 46. Rethink your reading log. 47. Send family tips via text. Operating under the premise that many parents want to support their kids’ learning, but could benefit from gentle “nudge” reminders about appropriate ways to do so, researchers are exploring the benefits of texting educational tips to parents. So far, they’ve seen favorable results. It’s an approach to consider if you’re looking to share early literacy tips with families in a new way. 48. Encourage families to support children’s early literacy in the language they speak best. ELL families should be encouraged to tell oral stories and read aloud in their home languages. Help families seek out books in their home languages, or share wordless books that they can adapt themselves. 49. Champion the public library. If you aren’t already BFFs with a children’s librarian in your school’s community, what are you waiting for? Public libraries encourage family literacy when school’s not in session. Plus, they offer tons of knowledge-boosting perks like special programs and museum passes. Join forces to let your students’ families know about the resources available to them. Remember the end game: cultivating in children a love of reading, writing, and communicating with others that fuels a lifetime of learning. Marvel over books, words, and student successes together every day. We know schools are doing amazing work to promote early literacy. Which strategies have been successful in your school to promote early literacy? What’s still challenging? Share your thoughts in our WeAreTeachers HELPLINE group on Facebook.